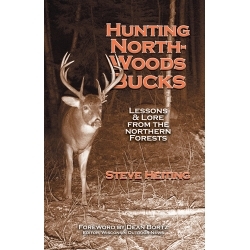 Steve Heiting's obsession for hunting white-tailed deer in the big woods of the upper Great Lakes states and Canada has resulted in a new book. Heiting, the managing editor of Musky Hunter magazine, who has written, edited or contributed to 20 different books about musky fishing, has made boot tracks in a different direction with the release of his first hunting book, Hunting Northwoods Bucks. 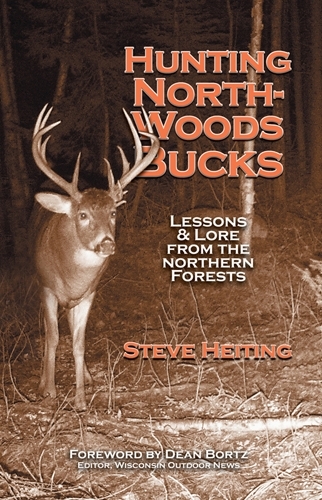 Hunting Northwoods Bucks is a 200-page softcover book packed with 61 photos and illustrations. It is also available in a digital version through Amazon Kindle. Other tales border on the surreal; visit a turn-of-the-twentieth-century northwoods deer camp; and humorously chronical the frustration of hunting for deer Heiting suspects were smarter than him.